Updated: With the arrival of the Moto Z2 Force in July, and a clearer picture of when the Nokia 8, LG V30 and Huawei Mate 10 will launch we've updated our essential rundown of the key smartphone announcements. Let's face it, it's not always easy to keep track of the latest and greatest phones thanks to the sheer volume of launches every year. But we at TechRadar are here to help, with our year in smartphone launches arriving to keep you up to date, allowing you to plan the perfect time to upgrade. Are you eager for some Galaxy S8 action, in desperate need of the iPhone 8, or begging for the latest HTC flagship? You'll find out right here when we expect they'll show up, so you can mark it in your diary. And for the phones already announced we've provided links to our hands on and full reviews so you can get a real flavour of the phones before parting with your hard-earned cash. This isn’t an exhaustive list though - there are simply so many launches around the world it would get unruly - instead we’ve condensed it to the handsets we think are most important, interesting and genuinely intriguing. January kicks off with the world's biggest tech show, CES, but smartphones are playing a smaller and smaller role here, so the year can get off to a bit of a slow start. In 2017 though, we did get a few notable launches from HTC and BlackBerry (now run by TCL). BlackBerry's back, again! The KeyOne offers up a full physical keyboard below a sizable display of an Android smartphone. It gives BlackBerry fans the phone they've been waiting for, but others looked on with a raised eyebrow. A sign of things to come later in the year, the introduction of the HTC U Ultra and U Play at CES revealed the firm's new design language that it's carried on to its flagship handset, the HTC U11. February is the busiest month of the year for phone launches with the major show MWC 2017 increasingly proving the time where manufacturers unveil their latest creations. The standout phones from February are the LG G6, 4K-toting Sony Xperia XZ Premium and the return of Nokia. LG's big flagship phone for 2017 is the G6, which launched in Barcelona at MWC. It boasts a sizable 5.7-inch QHD display, premium metal body and dual cameras on the rear. There are two big features on Sony's flagship phone. First up is the 4K HDR display - it's the only phone in the world to have one - and secondly is the rear camera's ability to film in super slow motion at 960fps. Not one to be left behind, Huawei also introduction its duo of flagship phones at MWC, with the P10 and P10 Plus sporting slick metal designs and dual cameras on the back. The most surprising launch, and the one that possibly stole the show out in Barcelona, was the return of the iconic Nokia 3310. With an updated look, color screen, new-look Snake and even a camera, it ignited a wave of nostalgia (and helped draw attention to the trio of new Android handsets as well). March tends to be the month of choice for at least one major Android manufacturer to distance itself from the deluge of phones at MWC and try and make a big impact on its own. In 2017 Samsung did just that with the launch of the Galaxy S8 and Galaxy S8 Plus. The best looking smartphones to date arrived in March, with an even more futuristic design, hardly any bezel and strong snappers. The Samsung Galaxy S8 is currently our best phone in the world - which should tell you just how good it is. Usually by the time you get to May all the big Android phone manufacturers have launched their flagship offerings for the year - but in 2017 one firm played the waiting game. HTC was in no rush to push its flagship phone out, with the unveiling of the HTC U11 taking place in May. The design we first saw in January on the U Play and U Ultra took pride of place here, while HTC kept things under the hood relatively standard. Into June and with the bluster of the big names out of the way, it gives the smaller firms a bit of breathing space to get their message across. While they may not be household names, there are some surprisingly strong contenders from these emerging manufacturers. Plucky Chinese startup OnePlus has gone from strength to strength, and the OnePLus 5 is the best phone it's made to date. There's a premium metal body, dual cameras round the back and a whole heap of power under the hood. It's also cheaper than its flagship rivals. Another Chinese brand attempting to make waves is Honor, and its latest flagship is impressive when you look at the specs and then the price tag. It's even cheaper than the OnePlus 5 and pretty much matches the more expensive Huawei P10 feature for feature. Generally we don't see too much activity in terms of new phone launches in July, but every now and then something pops up to keep us on our toes. If you're in the market for a new phone, you might be able to bag yourself a bargain on July 11 as that's Amazon Prime Day, with the online retailer offering a wide range of discounts. The follow up to Motorola's 2016 handset that boasted an unbreakable display, the Moto Z2 Force offers the same ultra-resistant screen protection with updated power, two rear facing camera and the continued support of the modular MotoMods snap-on accessories. August tends to be another quiet month in the phone launch calendar right up until its very end where it collides with the start of tech show IFA in Berlin, but there are potentially two major phone launches slated before we head out to Germany. The new incumbent of Nokia phones, HMD Global, has sent out invites for an August 16 event where we fully expect to see the flagship Nokia 8 announced. This would be the first flagship handset from the new-look Nokia phone division and rumors suggest it will have the specs to compete with the big names. 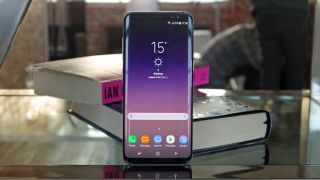 Samsung generally likes to launch its phablet just before the German show and this year looks to be no different with a Samsung Unpacked event scheduled for August 23. After the rather disastrous, explosive Galaxy Note 7, Samsung is expected to come out swinging with its follow-up phablet. The first week of September is always dominated by IFA - a technology trade show in Berlin, Germany where a host of new devices, including phones, are launched. We expect to see a number of handsets arrive at the show, and we'll be reporting live from IFA 2017 to bring you all the latest. That's not all though, as typically the second week of the month sees Apple take to the stage in California to announce its new iPhones - although this year there are rumors it may delay proceedings until later in the month, or even October. One of the big phone launches tipped for IFA 2017 is the LG V30, which is the South Korean's second-string flagship range after the main G series. Set to replace the V20 which only launched in the US and a handful of other markets in 2016, the hope is the V30 will witness a worldwide release with a display that rivals the Galaxy S8. The iPhone 8 is the most anticipated phone launch of the year, with the web awash with rumors that Apple is preparing a very special 10 year anniversary handset jam-packed full of futuristic features. Thing is, there are claims Apple may wait until October to launch its new iPhones. Hmm. Last October we saw Google launch the Pixel and Pixel XL, and it looks like it will repeat the trick a year later with the follow ups to its premium handset line. The rest of the month is likely to be relatively sedate though... unless Apple decides to shift the iPhone launch to October. Google's original Pixel handsets had impressive power and cameras, although the slightly questionable design, average battery life and increased price over the now defunct Nexus line of phones means they didn't hit all the right notes. Expect Google to perfect its offering in 2017. Not one to miss out, Huawei has confirmed it will launch its next flagship phablet - called the Huawei Mate 10 - before the year is out. While we don't know when exactly it will happen, the latest rumor claims we're looking at an October 16 launch event in Munich. We're not expecting to see any major phone launches at the tail end of the year, but November is worth keeping an eye on for another reason. Great phone bargains! Yes, November is home to Black Friday (Nov 24) and Cyber Monday (Nov 27), with retailers heavily discounting products. If you want a new phone, this is an ideal time to buy. The mobile world really starts to slow down as we approach the Christmas period, which means there's rarely anything new to check out. However, there will be deals to be had as people shop for gifts, and post December 25 there's the Boxing Day sales in the UK and more where you might be able to nab a great smartphone deal.